Skating Safe Crash Pad Retention Sleeves. Holds the Skating Safe kneepads, elbow pads and ankle/foot gel pads in position. Versatile, multifunctional and very thin. Sleeve edges will not cause discomfort. 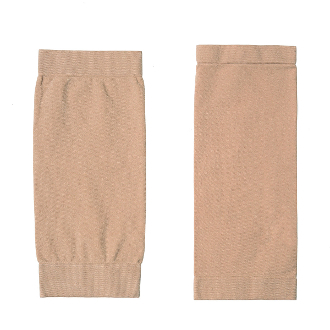 Made of compression hose material: 11.9% Lycra, 88.1% Nylon, Latex Free. For skaters who don't wear tights and fits most children and adults. Small sleeve fits children - small adults. Large sleeve fits small adults - large adults. This is ONE Sleeve! Pads sold separately!